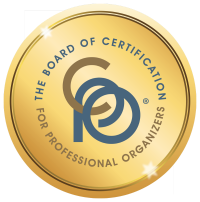 BCPO® Code of Ethics for Certified Professional Organizers (BCPO) is committed to the highest ethical standards for all certificate holders, as reflected in the BCPO Code of Ethics. 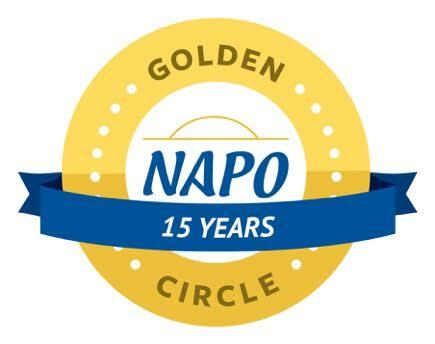 Adherence to this Code of Ethics is required for the ongoing certification of all those who hold the Certified Professional Organizer credential. I will only offer professional organizing services in those areas in which I am qualified, and I will accurately represent those qualifications in all verbal and written communications. I will market my professional organizing services in a lawful and honest manner. I will respect and not infringe upon the intellectual property rights of others. I will not use the proprietary materials or information of others without the owner’s written permission. I will comply with all laws applicable to the operation of my business and my provision of professional organizing services, and I will not engage in any fraudulent or deceptive acts or practices. I will at all times endeavor to avoid situations in which my provision of professional organizing services to one client places me in a conflict of interest position with another client. I will respect a client’s wishes with respect to confidential treatment of client information. I will use reasonable means to keep all client records and materials in my possession secure and confidential unless the client gives me written permission to make such records or materials public. I will establish my fees in a manner which does not involve collusion with a competitor, and I will communicate my fee and expense structure to my clients in advance of beginning the provision of professional organizing services. I will only recommend products and/or services that my clients need or desire.